We’d been traveling around Eastern Europe for two and a half weeks and were on the last day of our tip. Well, the last four hours, really, because that was how much time we had to spend in Frankfurt before heading home to Seattle. In Salzburg we went into a store that had lots of lovely pens, but as that was the beginning of our trip, I decided not to buy and to wait and see what else we came across. Nothing, as it turned out. Well less than nothing as I actually managed to leave a beloved Levenger pen behind in a hostel in Budapest (a pen they no longer sell, and is therefore impossible to replace). Any way, we were in Frankfurt and suddenly it began to pour rain. We ducked into a tunnel that led under a cross street and when we emerged it just so happened to be directly next to a Faber Castell shop. Nice. We ducked in and I was in heaven. Granted I couldn’t afford most of the really nice pens, but I could afford this one. I liked the styling and I liked how it wrote and so I made it mine. This pen takes international cartridges and does not come with a converter. 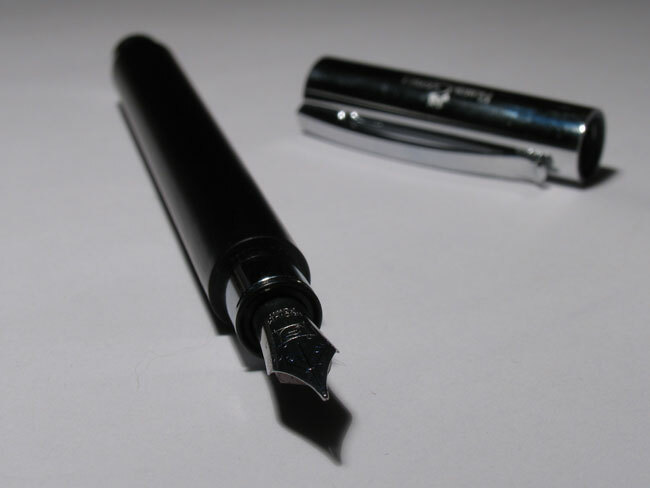 I bought one with a fine nib, and while I would have liked an extra fine, I’m quite pleased with how smoothly the pen writes. 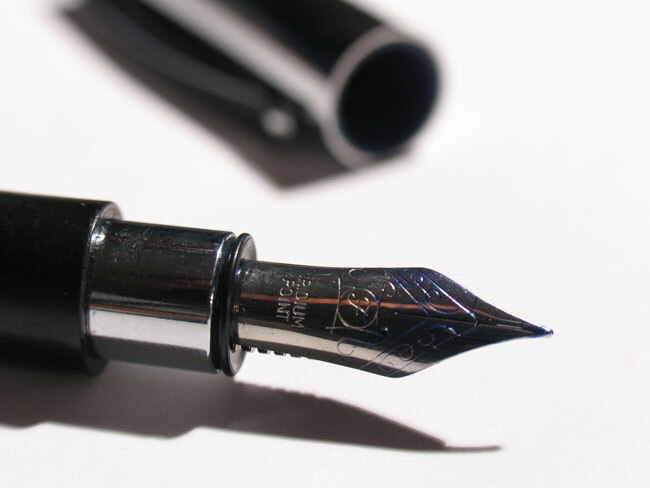 My one complaint is that ink has a tendency to bead up on the nib when it’s capped and so I’m always having to wipe it off. 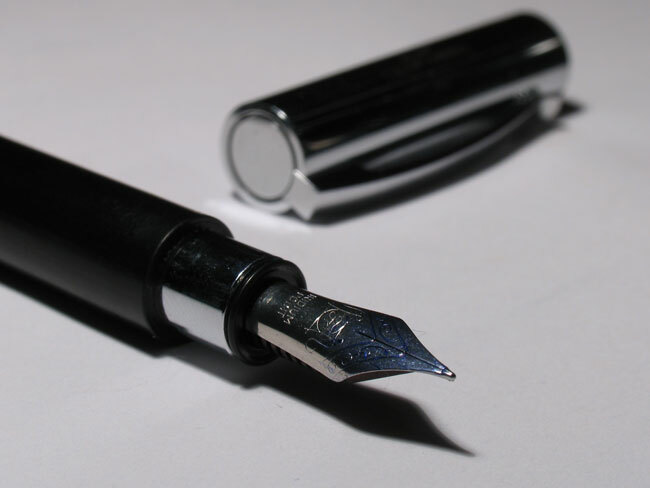 This is minor complaint in what is in all other ways a very fine pen. That’s the first model. It has flaws and you can have it exchanged for a revised model. The first model had a problem with the cap that had loose problems over time, and converter would not work. The new model has fixed the loose cap problem so it will not happen, and it comes with a converter you can use. Exchange is free. 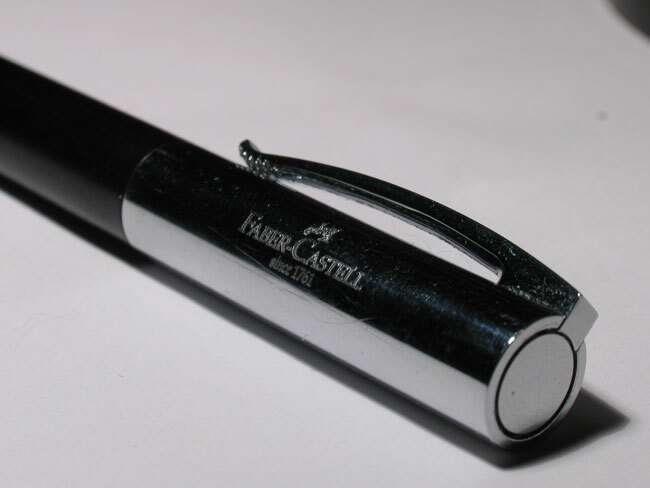 Contact Faber-Castell.